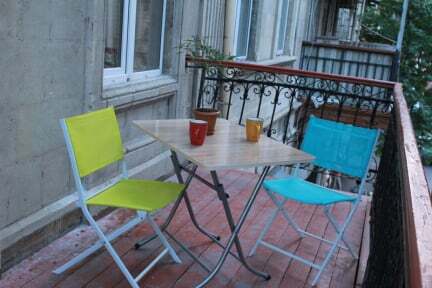 Capital Hostel Baku offers 24-hour access to bright and airy bedrooms with modern bunk beds and fresh linens. It provides for a relaxed, cosmopolitan atmosphere offering mixed dormitories and VIP rooms with shared bathroom facilities. It features luggage storage and individual in-room lockers. 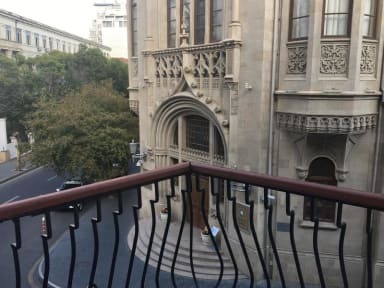 Featuring free Wi-Fi throughout the property, Capital is conveniently located in Baku. Many restaurants, bars and coffee shops are just a 5-minute walk away. This property boasts a large reception area, a bright comfy kitchen and cozy balconies. The communal kitchen includes a microwave, toaster, fridge and kitchenware.